Busy morning at the Boathouse. 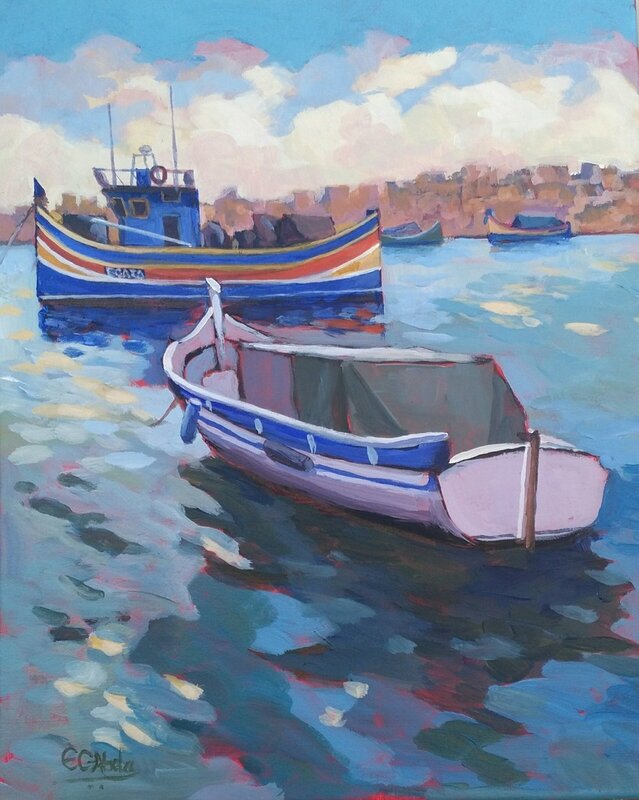 During my last visit to Malta, I did not want to miss my usual visit to Marsaxlokk for a fish lunch. The weather was cold and windy. The painting is a memory of this visit. My Next Workshop "Having fun with Palette Knife painting"